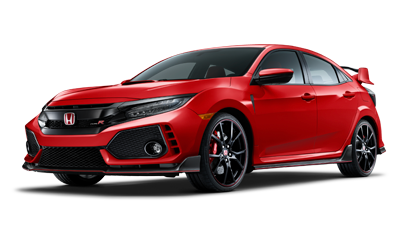 A Limited Slip Differential can offer tighter cornering and better control on every drive, giving you more confidence—and more fun—behind the wheel. 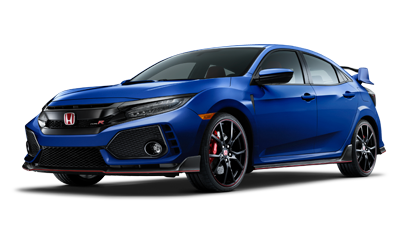 The Vented Front Fenders accommodate the widened track stance, while helping pull out turbulent air around the tires to reduce drag and help keep handling predictability at its best. 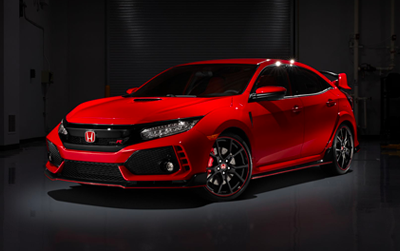 The iconic red H badge, a symbol of our racing legacy, is exclusive to the Civic Type R. Together with the aggressive front bumper and LED headlights, the front end connects our heritage and our future. 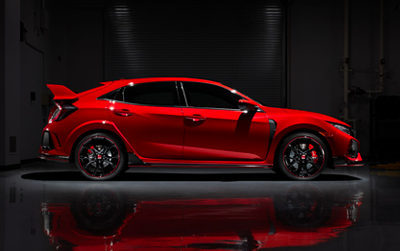 True to the original Civic Type R, the versatile hatchback body style gets a light, stiff chassis and wide fenders to fit 20-inch Alloy Wheels and the Brembo® brakes. 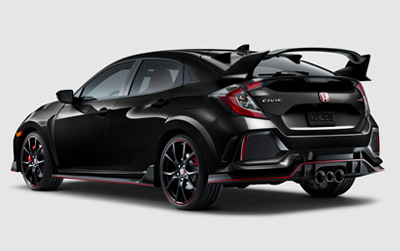 The striking Rear Wing creates the perfect balance of design and aerodynamics, while the LED brake lights and the fierce exhaust note delivers a bold sign-off. Race-inspired Sport Pedals pedals add to an overall track-ready style while also providing the necessary grip for your feet anytime a quick heel-and-toe is needed. 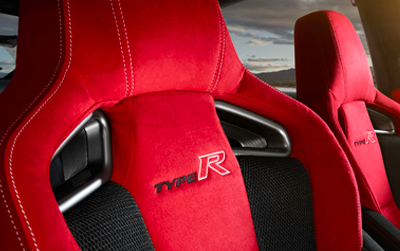 The thick, Leather-Wrapped Steering Wheel with flat-bottom gives you the feeling and grip you need to tackle the toughest turns on any track. Customize your exterior with the added design detail of a Lower Door Garnish accessory. Ideally positioned where the side panel extends out the most, Body Side Molding helps protect against door dings and scratches. 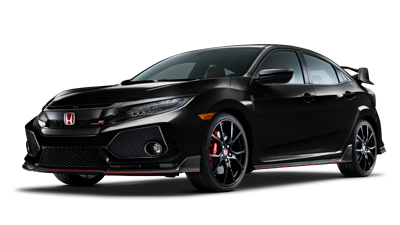 A subtle and sporty finishing touch, the Illuminated Door Sill Trim helps to protect the lower door sill from scuff marks. Protect the rear storage area from spills that can happen during sharp turns and quick stops. 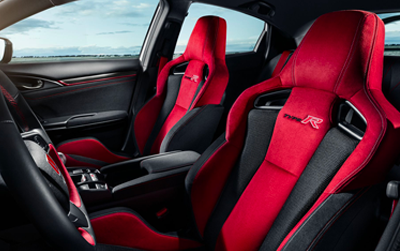 The iconic details of the Civic Type R interior can be brought to light with the soft red glow of an Illuminated Console. 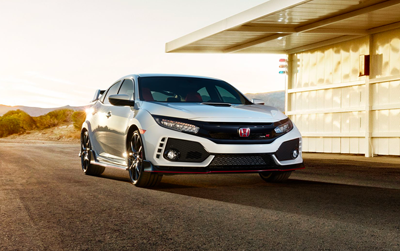 Whether you're taking the Civic Type R for a spin on the freeway or a rip around the speedway, there's a driving mode and meter display screen for every mood. 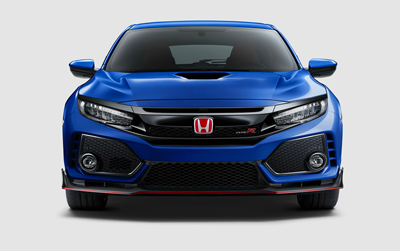 Customizable Digital Meters display boost pressure, G-force, lap times, rev limit and throttle/brake input in real time so you can maximize your track performance. 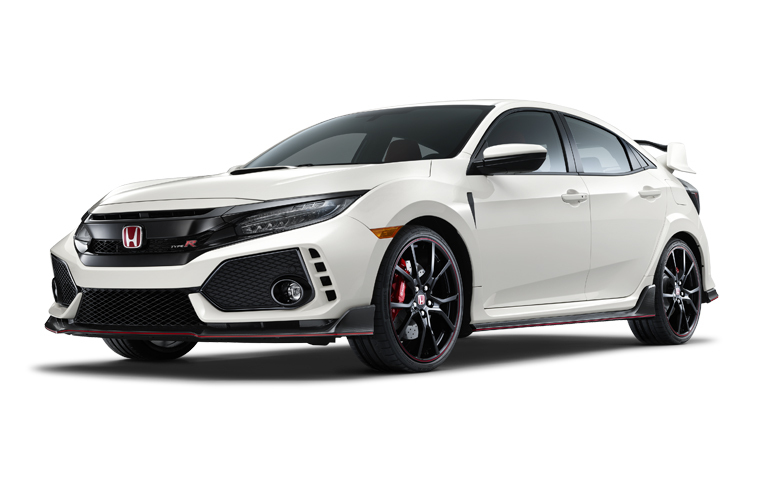 With a glossy 7-Inch Display Audio Touch-Screen in the dash and a booming 540-Watt 12-Speaker Premium Sound System, the Civic Type R is an unmatched driving experience. 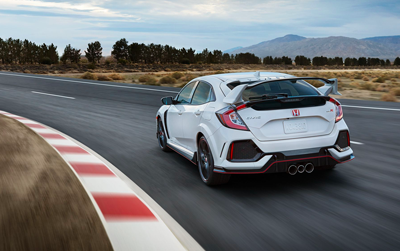 The Civic Type R keeps you connected to the road. 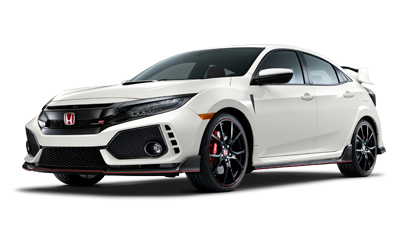 It's also packed with technology to keep you connected to the world, from HondaLink® to a Multi-Angle Rearview Camera. The Multi-Angle Rearview Camera allows you to choose from three different angles—normal, top-down and wide—for a better view of what's behind you every time you reverse. 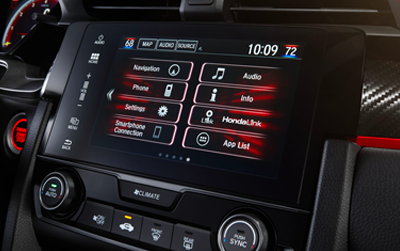 HondaLink® makes it easy to access fuel/range status, operate the remote engine start, lock or unlock your doors and more, all from your smartphone. 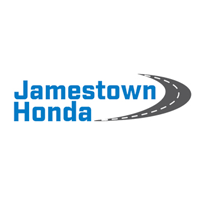 For more information, visit HondaLink.Honda.com.